Overstock. 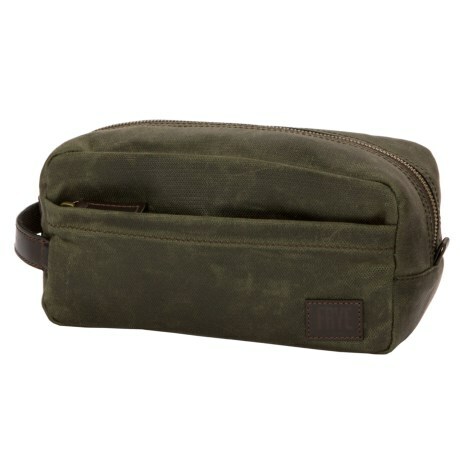 Crafted from durable waxed canvas that develops its own unique personality over time, Fryeand#39;s Carter Dopp Kit is a tried-and-true traveling companion for toiletries or small items. Available Colors: OLIVE, TAN, SLATE.